We need to be continually quickened by God's Word. In today’s culture we are being shaped, molded, encouraged and even forced to accept “alternative lifestyles” as normal. Physical sicknesses, birth defects and deformities are not the work of God, but rather the results of the power of sin in the human race. Many believers are frustrated because they ‘know’ what the Word says but they don’t experience the results they think they should. What Did The Early Church Preach? If Jesus has been raised, then we too have hope for a future resurrection. If Jesus has not been raised, then there is no hope. The birth place of false teaching is the offended heart. I am convinced that being fully persuaded is a decision. It is a decision to believe God’s Word above all else. How Do I Pray for a Lost Loved One? The keys to praying for others can be found in the words of Jesus and Paul. I believe we too often grow passive and give up in our prayer life. We put down the hammer and relax. We don’t realize that it is up to us to enforce God’s will. "THERE ARE MANY VOICES THAT COMPETE FOR OUR TIME AND ATTENTION. BETWEEN THE VOICES OF POLITICIANS, MEDIA PUNDITS, DOCTORS, TEACHERS, FRIENDS, CHILDREN AND SPOUSES, THERE ARE TIMES WHEN WE 'CAN'T EVEN HEAR OURSELVES THINK!' 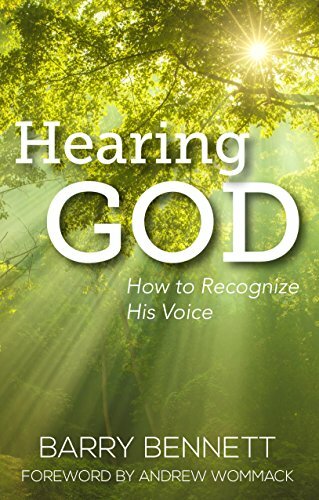 AND YET, IN THE MIDST OF THE VOICES THAT WE HEAR AND THE SENSORY OVERLOAD OF OUR LIVES, IT IS POSSIBLE TO HEAR GOD."